Standing the test of time in production and precision machining technology Gemini Precision Machining, Inc. (GPMI), offers innovative production CNC machining, lathe, and grinding solutions with in-house heat treat capabilities. We are dedicated to the needs of our customers by maintaining cost-effective pricing. From prototype to production, from semi-detailed to highly detailed products, this diversity has allowed us to stay competitive and serve any industry. GPMI strives to manufacture the best quality parts delivered at the tight demands of our customers. All of this is possible only with the unique combination of modern equipment, highly trained, dedicated personnel and well-defined processes. While starting with a “round and ground” idea, we have diversified into a full service machining facility with a multitude of CNC lathe, mill and grinders. We service a full spectrum of customers from automotive, military, aerospace, machine builders, plus agriculture and construction equipment. We are also a complete contract-manufacturing source for build to print steel, aluminum, brass, bronze, and composite products. With over 80 CNC machine tools, including Turning Centers, Horizontal Machining Centers, CNC O.D. and CNC I.D. Grinders, as well as in-house heat treating facility, GPMI can meet your build to print needs. 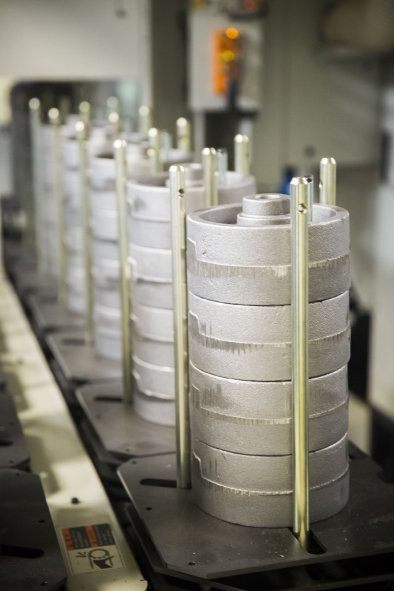 Although we have a complete range of manual support equipment, our strength is in each department’s CNC equipment. To support our equipment, we have five full-time programmers using Mastercam’s latest technology in off-line CAD/CAM programming, with complete DNC linkage to all CNC machines. GPMI has a dedicated team of professionals who are ready to handle all aspects of your machining needs, from your initial RFQ through the shipment of your parts. We are a full service machining facility with design and build capabilities. We are proud to service the industrial, automotive, forging, aerospace, machine tool, defense, medical, wind energy, bottling, oil & gas industries as well as many other customers. At GPMI we guarantee to you, our customer, is top quality products, delivered in a timely manner at a competitive price. Can we help solve your production machining challenge? Let’s chat!